T-SQL Tuesday #59 – My Hero! It always amazes me how fast these T-SQL Tuesday block parties come about; it seems like we just finished one and here we are yet again. This month the party is hosted by Tracy McKibben (Blog | Twitter) and the monthly topic that was chosen is “Heroes”. This topic can be taken in many different directions; this post will be geared toward the SQL environment and what I’ve learned from a professional career standpoint. I’ve been blessed to have had some influential people in my career. One of the first things that crept into my mind was the “My Fab Five” post I did earlier this year. If you haven’t read it I urge you to check that one out as well; after you read this one of course! I see so many heroes in the SQL Community; ones that aren’t heralded but come in day in and day out and get the job done. The tireless volunteer who keeps going year in and year out and doesn’t complain one time. PASS Summit 2014 is coming up; have you ever thought about how much effort that goes into putting something like that on? So many behind the scenes people who work countless hours – those are the type of heroes that I’d like to pay tribute to. I would be amiss if I didn’t mention 4 influential people in my own career to date. I think back from both a business, professional, and technical perspective two individuals who deserve a lot of credit in bringing me along are not technical evangelists nor are they knee deep in the SQL Community; but they taught me, in more ways than most, the ropes and expectations of business. Both of these people took a chance on me early in my career and have had a big hand in molding my psych in both the business and technical realm. I have much respect for both of these individuals for the tenacity they bring daily and focus they have instilled in me – Brad Cunningham and Chris Howard. You will not see these guys in the headlines at the PASS Summit, but it is guys like this who allow guys like me and afford guys like me the ability to enhance and further my knowledge on a daily basis. Piggy backing onto these two guys I’ve had some of the best in the Community take me under their wing so to speak. This doesn’t mean I haven’t approached others in the community nor does it mean that others aren’t helpful, but like the 2 people I mentioned above these 2 people did the same thing. They took a chance on me and allowed me to spread my wings and flourish within the SQL Community. I look up to these two individuals greatly and thanks is not enough for all they’ve done for me ~ Thank You John Sansom (Blog | Twitter) and Chris Shaw (Blog | Twitter) for rolling the dice and taking a chance on me when you didn’t have to. Heroes – the SQL Community is full of them. If you are in it for the fame and fortune then you are in it for the wrong reasons. 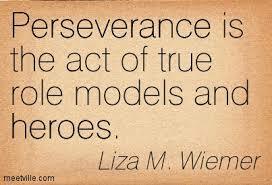 Heroes are found all around us; you don’t have to look far to find them. To the many unsung heroes I thank you for your hard work and dedication for it is all of our efforts on a daily basis that make the SQL Community what it is. 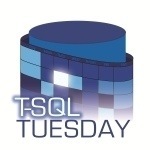 If you are interested in hosting a T-SQL Tuesday party you can contact it’s creator the mighty Adam Machanic (Blog | Twitter) who is a hero in his own right. This entry was posted in SQLServerPedia Syndication, T-SQL Tuesday and tagged #TSQL2sdays by Chris Yates. Bookmark the permalink.